2) After you have successfully created a Twitter Application, write down your CONSUMER_KEY, CONSUMER_SECRET, Access_TOKEN, and Access_TOKEN_SECRET. 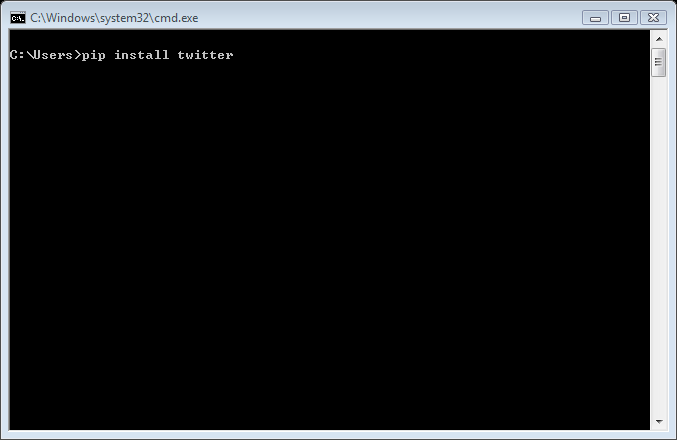 5) In the pop-up window, type pip install twitter, the twitter library will be installed automatically. Open the Tweet.dbf in Excel to view the collected tweets. www.lbsocial.net. Simple theme. Theme images by gaffera. Powered by Blogger.